Dr. Deenadayal is a renowned ENT Surgeon with an experience spanning more than three decades. He is the first ENT surgeon in India to use Radio Frequency in ENT Surgery. His high qualifications and achievements are only second to his dedication and humbleness. He is a down-to-earth person, a perfect gentleman, always ready to give an ear to his patients, who love to share their concerns with him. Dr. Deenadayal has many publications National and International in his name and has published many books, one of them being “Stroboscopy in Laryngeal Lesions” (Lambert Publishing Academy). Dr. D.S. Deenadayal is the First ENT Surgeon in South India to use SIALENDOSCOPY. He has conducted many conferences, workshops in his field of specialization. Dr. Deenadayal also holds many esteemed memberships and positions to his credit, like he is a patron in IASSA (Indian Association of Surgeons for Sleep Apnea). 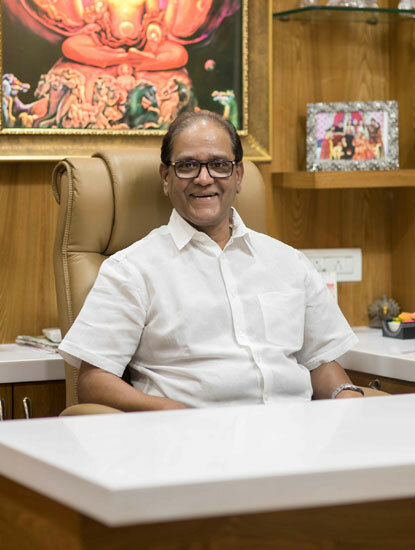 He is the Managing Director of Aalankrita Resorts, a four star hotel in Hyderabad and Good Shepherd Hospitals (P) Ltd. He is also the Director of Infertility Institute and Research Center (P) Ltd.(IIRC).